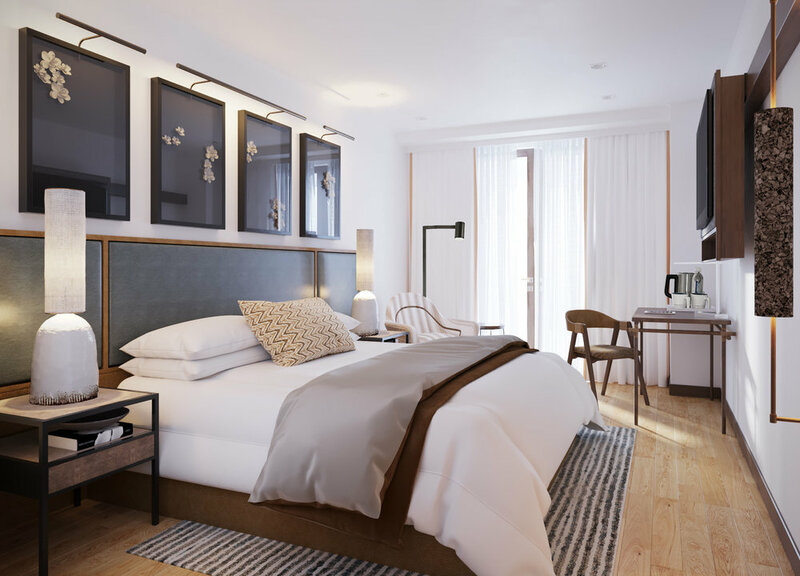 Source furniture was delighted to work with designer Shelley Reiner on the refurbishment of the Hotel Ponta Delgada. Situated on the beautiful island of San Miguel in the Azores. Bespoke headboards and armchairs were made in emerald leather and finished with cork fabric detailing. Custom designed bedside tables with ceramic tops and unique rod frame timber desks and chairs were created to furnish 50 new bedrooms.